A game that needs no introduction, about 26 years ago Nintendo released the first game in a series that would become one of the most iconic franchises in the company’s history, second only to the Mario brand. 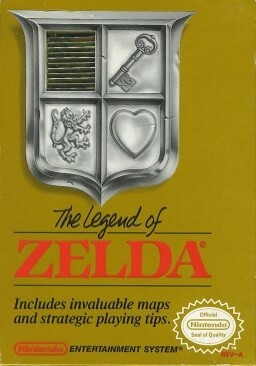 The Legend of Zelda debuted on February 21, 1986 in Japan as The Hyrule Fantasy: Legend of Zelda, a launch title for the Family Computer Disk System peripheral before a release in North America more than a year later on the Nintendo Entertainment System. The Zelda series was created by Japanese designers Shigeru Miyamoto and Takashi Tezuka. Miyamoto is best known for his work on several successful Nintendo titles such as Mario, Star Fox, Donkey Kong and F-Zero, while Tezuka wrote the story and script for The Legend of Zelda and Zelda II: The Adventure of Link. The franchise has produced 16 official titles spanning nearly every major Nintendo console and handheld over its 25 year run. Several spin-offs featuring Link and other Zelda staples were released in addition to an animated television show in 1989. There was even a Nintendo breakfast cereal that included Super Mario Bros. and Zelda characters produced by Ralston Cereals. As of December 2011, the Zelda franchise has moved over 60 million copies of games with the original ranked as the fourth best selling NES game of all time at over 6 million titles sold. What's your favorite Zelda game of all time? For me, the original gold cartridge NES title can't be beat! Update: We keep imagining we're living in 2011 as we had wrongly stated before that Zelda was turning 25 today instead of 26. The point remains, good times, great game.